You are here:Home » Product Reviews » Tips In Getting Part-Time Jobs For Students In Singapore! Thanks to American sitcoms, I could barely wait for the day I could hold a part-time job when I was a teenager. Nickelodeon’s ‘ Drake and Josh ’ which featured Josh as a character who had a lot of fun selling tickets and manning the popcorn booth in a cinema, and Disney sitcom ‘ That’s So Raven ’ on which the best friends trio had a ball even while working in mundane places like convenience stores, had me believing that student part-time jobs are absolutely delightful. My first ever hunt for a part-time job at the age of sixteen shattered all these idealistic visions I had. As I learnt the hard way, while there are plenty of part-time jobs for students out there, there are only so many employers who are willing to trust an inexperienced sixteen-year-old with a job. As such, if you are a secondary school student on the hunt for part-time jobs in Singapore, it always helps to manage your expectations. In my case, after a relentless pursuit for part-time jobs, I settled for one that required me to sell uniforms in secondary schools. Truth be told, it was not the most exhilarating experience but it allowed me to get my foot in the door and supplemented my pocket money. A job like that has another perk; it allowed me to have my first ever work experience in an environment that I was very familiar with. This enabled me to get into the new experience with ease. As I learnt along the way, part-time jobs are never as exciting as what television sitcoms have as you believe. Nevertheless, this does not mean students working part-time jobs have to resign to boredom. Sometimes, part-time jobs can be enjoyable in the most unexpected ways, and may even teach you important skills. I still fondly remember giving out fliers on the streets of Orchard Road with a friend and being completely amazed by just how enjoyable it turned out to be. The casual conversations with other individuals giving out fliers along the same stretch, and interesting chats with curious tourists boosted the fun factor of the job. While at it, I picked a skill or two about how to approach strangers and how to handle negative responses from people. Admittedly, most part-timers are in it for the money, but you can get more out of your job than you signed up for by continually being invested in the work. Build relationships with your colleagues and use this rare opportunity to meet people from various walks of life and to learn from them. Over time, you will see yourself enjoying the experience a lot more. I have also found out the hard way that as a student desperate for a part-time job, it is easy to fall into many traps. I was once tricked into joining a multi-level marketing firm – such firms usually have misleading job descriptions and convince you that they are offering regular, part-time sales jobs. It is only after I attended a couple of supposed training sessions that I noticed that I was being roped into doing multi-level marketing with no promise of a minimum basic pay. Therefore, it is advisable that you do not always take job descriptions at face value. Be sure to look up a company’s name, get in touch with the contact person and probe for exact job details even before you go down for an interview. Even when you do a simple internet search of ‘ part-time jobs Singapore ’, you will be better protected from scammers if you look in portals that cater to students’ interests in particular. These portals tend to feature better part-time job opportunities for people in your age group. Great advice and very true is also the platform getting you some skill that will be helpful in the future. Great post! I worked a few full time jobs as a teenager but always in the summer. With our school system it is really not possible to take a part time job...even at the University level, it is hard to to this as our classes tend to last an entire day and they are obligatory...but where there is a will, there is a way. Research is always very important! Really interesting post darling, thank you so much for sharing it..
will be great for young people to do parttime for experience. and they should try learning in taking chances and risk. the last place you wanted to work at, may be the place you want the most after you started working there for long. there was once i was searching for part time job in UK, i usually go for the places i want, which most poeple want. like bigger, nicer, famous, etc. i am unable to get parttime bcoz i was picky. due to getting lazy to search, i went to the place i least wanting to work. well, at the end of the day, it was the best place ever. i cant imagine i have overlooked such great place to work. Great post and good advice, Shirley. 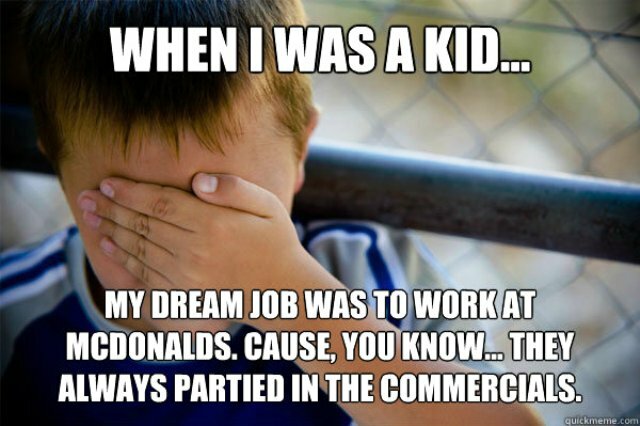 Yeah I remember my part-time jobs, all those shattered dreams :/ but on the other hand it taught me some important lessons. Happy Friday. great advice, Have a great weekend. That's very sound advice. I could've use it when I was a teenage looking for my first part-time job. Nice tips! I remember working some not so fun jobs in my teens! Amazing advice darling! Thanks for sharing!! Interesting post and great advice Shirley!! Shirley, you have posted some excellent advice here! Great informative post, Shirley. Sorry you had hard experiences. Unfortunately, in Spain there are not many part-time jobs (good or bad). Have a wonderful weekend! Very nice tips..Thanks a lot for sharing..Wonderful post..Keep In touch dear..
My university has this platform where the students can apply for the part-time job offered and need not worry about its legality. I'm not sure if the universities in Singapore offer this? It's not easy to find part-time jobs here either because some of the employers require the applicants to submit a CV (with references). My first part time job was in a flower shop when I was 15/16. I remember it well! Great advice! Seems part time jobs are viewed rather differently in various cultures. In Australia, many kids had part time jobs and it was seen as a very independent and admirable thing to do. useful tips for the students out there :) SG is a great country and delicious Kaya toast! I have done over 15 jobs in my life and life is really a no bed of roses. Good tips shared by you to awaken some. Great tips! Very useful to students looking for part time jobs not only in Singapore but in other countries too. Well said, nice tips for people who are looking out for part time job. I also had that perception when I was young. fun working part time during school days earning income. But the reality is well you know...haha..in Malaysia, it's not even feasible for us to work part time with all the assignments and low salary per hour...but in Japan, university students working part time is a norm with long term contracts whereas the money they earn could be used for travelling and other expenses. I can't imaging working in M'sia especially when the currency is at this low level. Sigh!